This 1975 film is the centrepiece of the BFI’s ‘Good Morning Freedom! – Spanish Cinema After Franco’ season, and it’s an exquisitely made and deeply affecting film, told from the viewpoint of children, which has guilt and trauma running through its delicate veins. 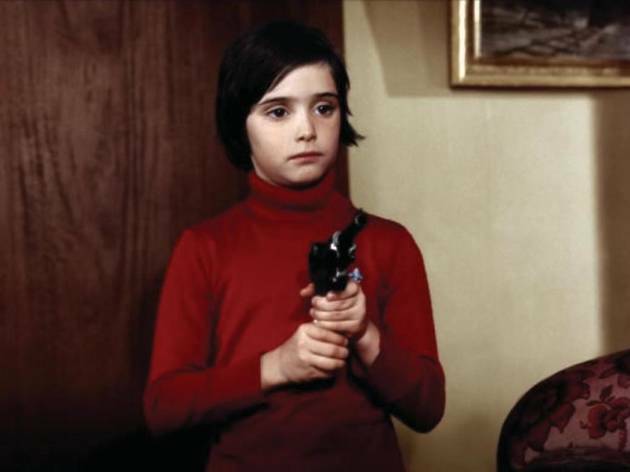 Shot in the year of Franco’s death, ‘Cría Cuervos’ (named after the saying ‘Raise ravens and they will pluck out your eyes’) is more about repression than freedom, although there’s a hint of release in the final images set to a recurring, catchy pop song. Mostly, it’s an interior piece, geographically and psychologically. 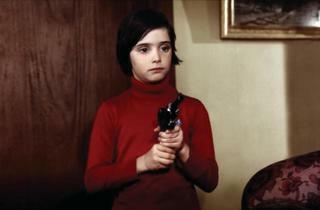 Eight-year-old Ana (Ana Torrent, from ‘The Spirit of the Beehive’) is the middle of three sisters, and we meet her in her well-off and conservative family’s claustrophobic Madrid home just as her ex-soldier father, Anselmo (Héctor Alterio), dies – joining her pale, weak mother, Ana (Geraldine Chaplin, seen in flashbacks), who passed away not long before. Ana is convinced she is responsible for her father’s death, and we see a number of episodes, past and present, real and fantastical, which sketch her uneasy position in an world where children are party to adultery, patriarchy, unhappiness, conflict and scary raw chicken feet in the fridge. Painful and arreting but undermined by the little uirl's accidental discovery of just one too many terrible family secrets. Ultimately, contrived rather than natural and less effective than it might be.